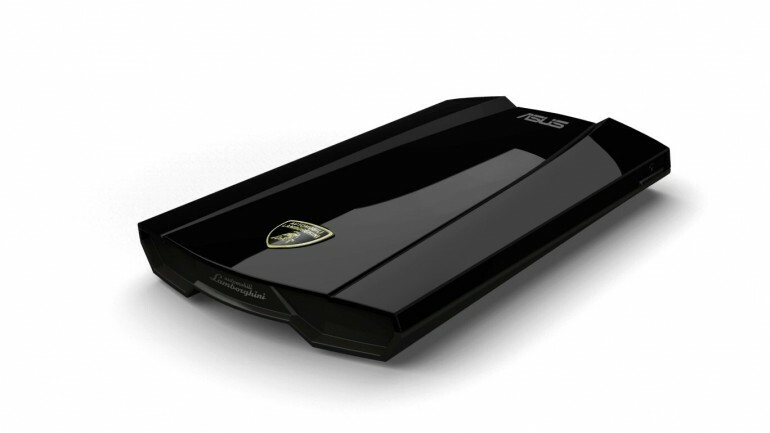 ASUS unveiled a gadget that will match up to your Lamborghini VX6 or VX7 notebook. The new gadget is actually an stylish external HDD. The drive offers classic looks of the famous sports car and also has some awesome new technology that offer high speeds and reliability under its hood. The Windows compatible Lamborghini External HDD comes in two variants. You can choose from a USB 2.0, 500GB or a 750GB which spin at 5400 RPM or a 750GB USB 3.0 version which spins at 7200RPM. The USB 3.0 offers ten times the speed of its predecessors. Asus is offering this little flashy drive in both black and white colors. The drives measure 5.33 x 3.13 x 0.7-inch (135.6 x 79.7 x 18mm) and are shipped with FlexSave file management software and also have a one-click backup functionality. Asus only released pricing info for the USB 2.0 versions only. The 500GB costs $119 while the 750 GB costs $139.